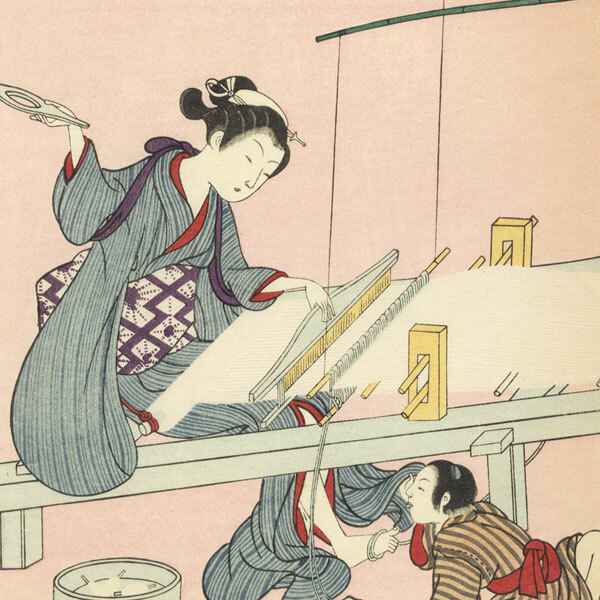 Comments - Interesting illustration of a beauty sitting at a loom weaving. She holds the shuttle in one hand as she moves the heddle, her sleeves tied out of the way with a purple sash. 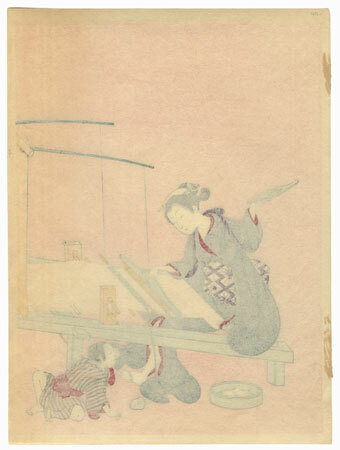 A young sits on the floor beside her, and a shallow round container holds spools of thread. Beautifully detailed with embossing in the threads. A nicely detailed scene from everyday life, set off by a pink background. 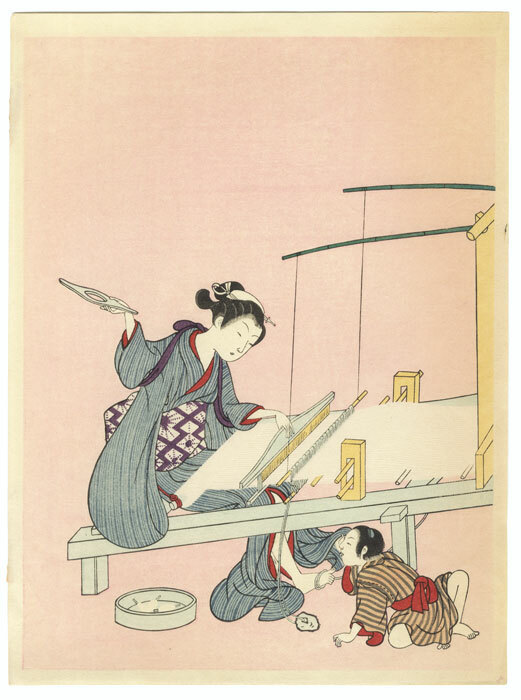 An unusually large format for a Harunobu reprint.